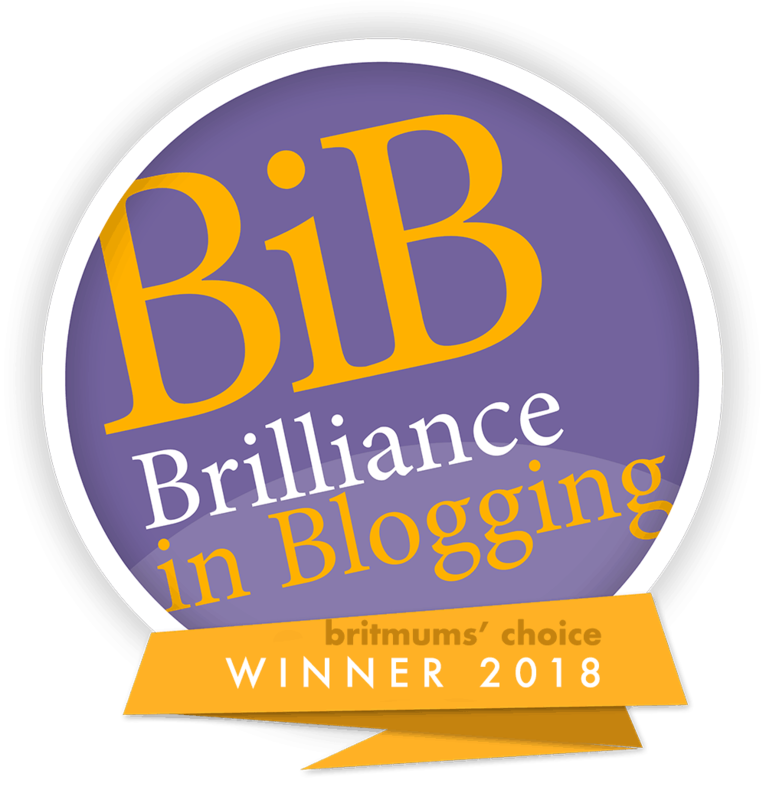 Ikos Oceania Review, Is Ikos Oceania For Families? 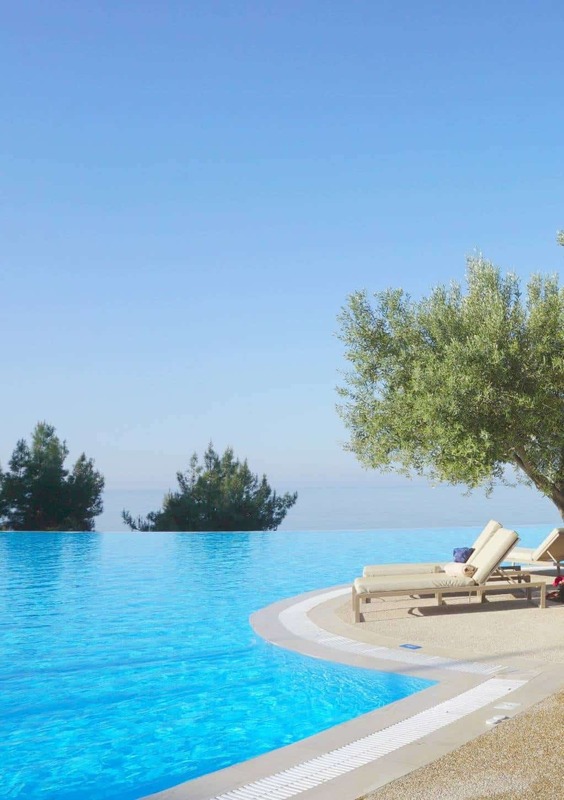 Last week we visited the most incredibly beautiful Ikos Resorts, Ikos Oceania, 5 star luxury all inclusive resort in Halkidiki, and in my opinion one of the best all inclusive resorts in Greece. 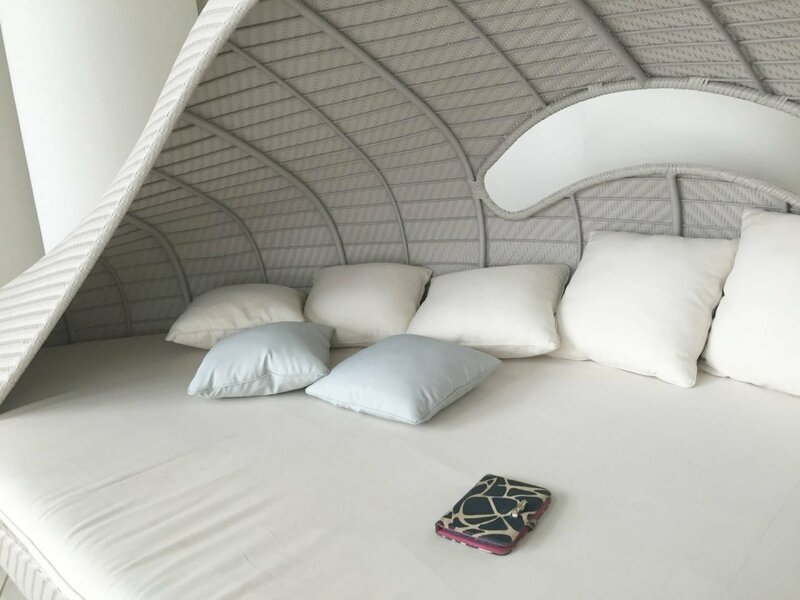 Ikos Oceania for families is the resort family friendly? Here Is My Ikos Oceania Review. The spa at Ikos Oceania is breathtaking. As you may be able to guess from all my photos and updates we just loved it. 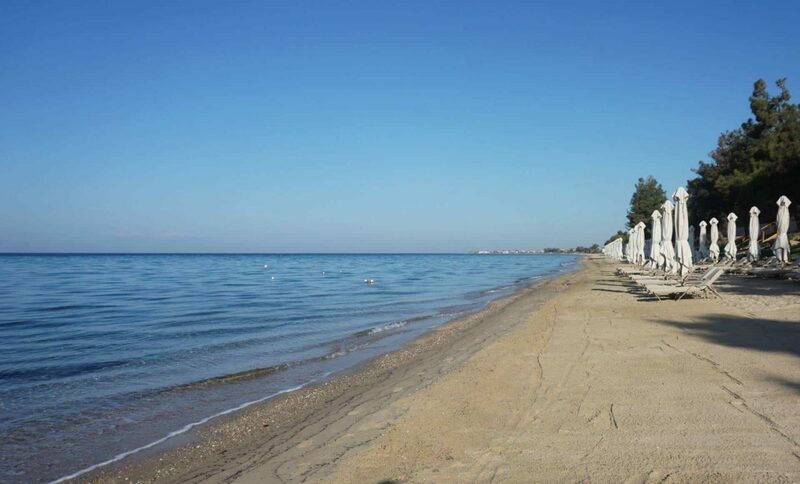 I would go as far as to say our trip to Ikos Oceania Halkidiki was perfect. So much so we are desperate to revisit next year. And will be re-booking as soon as the dates are released. 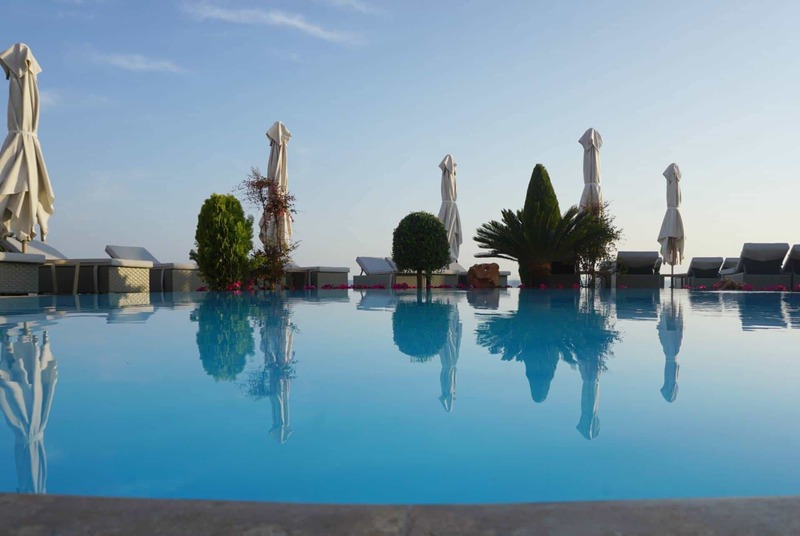 If you are looking for the best all inclusive resort in Europe then Ikos Resorts holds an award. But I wanted to be a bit more specific, tell you more about this idyllic all inclusive resort on mainland Greece. You see, we have been to many gorgeous luxury resorts in the Caribbean and had a wonderful time. But we have never found that Caribbean perfection on a land based all inclusive resort in Europe. It has to be said I may be a teeny bit fussy. I honestly feel we have found that European perfection in Ikos Resorts, for us as a luxury all inclusive family holiday it is perfect. And to support that here are 10 reasons you will fall in love with Ikos Oceania. 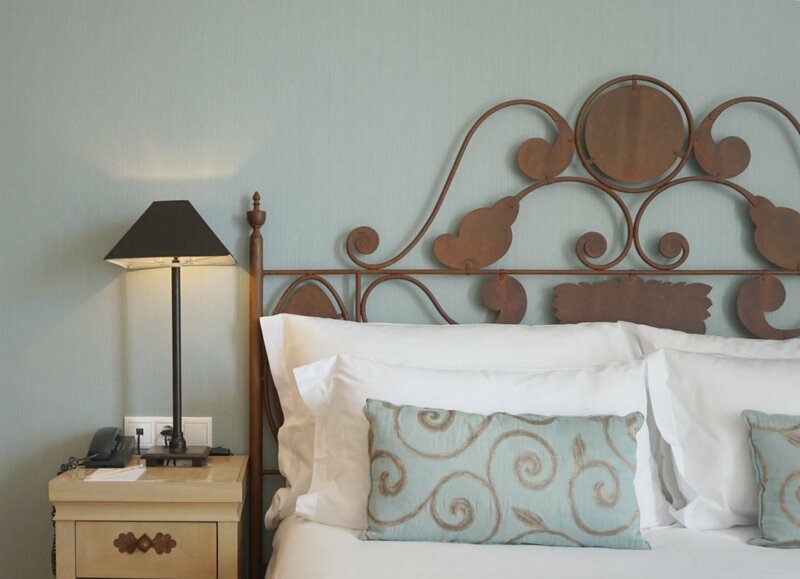 If you book a 5 night stay or more direct with Ikos Resorts they provide free transfers to and from the hotel. 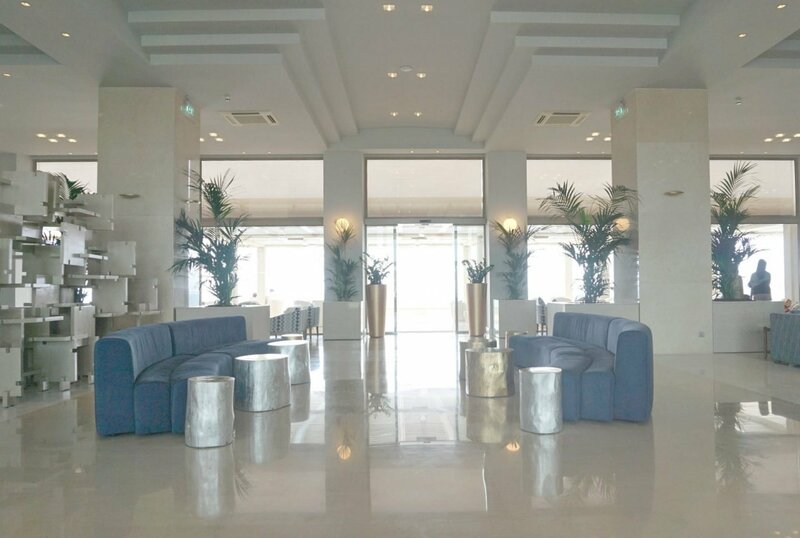 You need to email the resort reservations team your flight details well in advance and you will be met from the airport by an Ikos representative and driven in comfort to the resort where you will be met with a cold glass of champagne whilst you check in. As a first impression of the resort, the service was pretty spectacular. We were offered a full explanation of what the resort has to offer. Help booking the all inclusive fine dining restaurants and to answer any questions. Our room was not quite ready as we had taken an early flight to Greece, so we were offered lunch in the Flavors Buffet restaurant. I have to say was one of the best quality buffets I have ever visited. Ikos Oceania For Families, the rooms, our room was a Deluxe 1 Bedroom Family Suite. It was located into the deluxe collection area, which hosts a private pool, bar and beach area. The decor in cool shades of blue and green gave the room a relaxing feeling with a beautiful modern bathroom, with excellent shower pressure. We had a magnificent sea view, lots of storage, a Nespresso machine, well stocked mini bar and Wi-Fi with a better signal than back home. 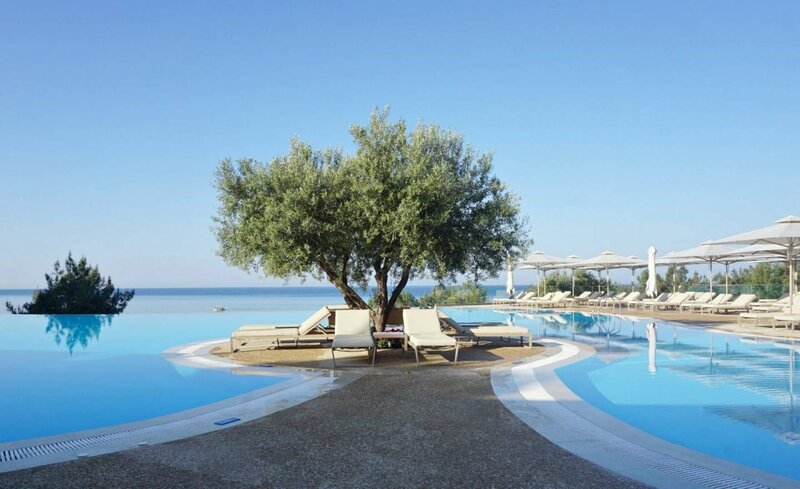 Ikos resorts is super modern but with that feel of luxury and class. 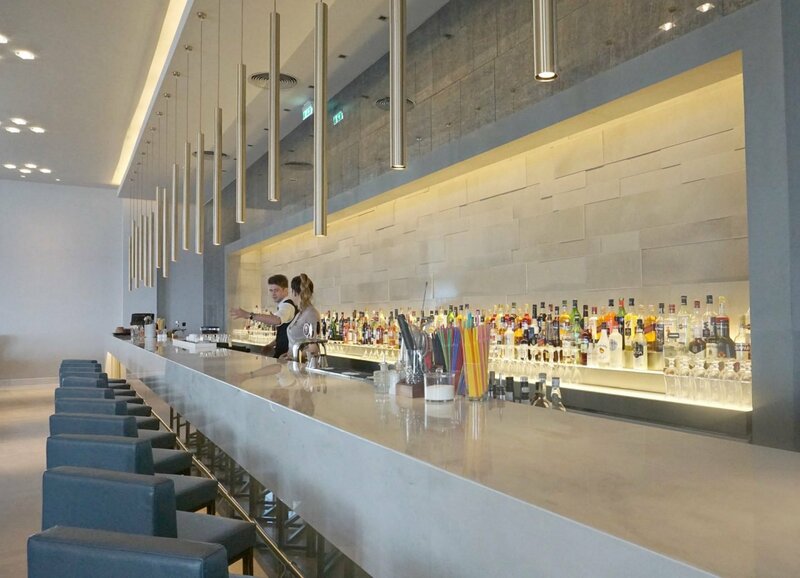 The public areas and lounge bars are huge but feel welcoming and relaxing areas to sit. 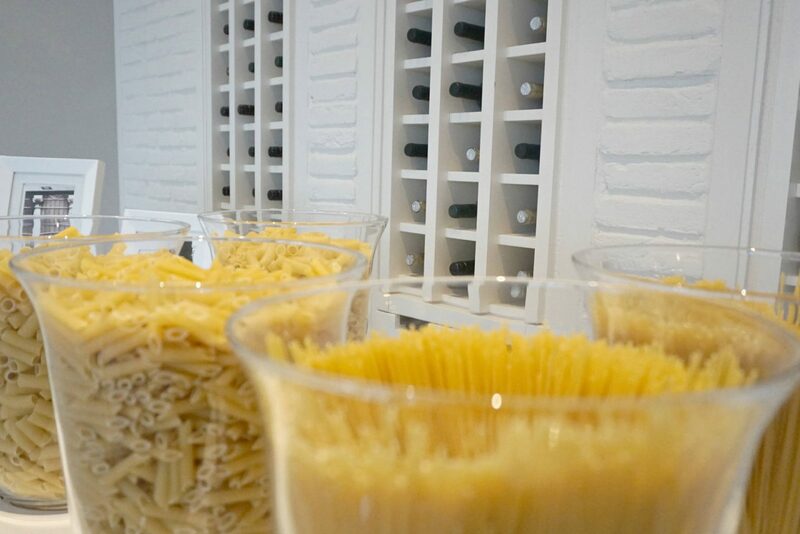 The service is exceptional with plenty of staff on hand to offer you refreshments. For me Ikos Oceania felt a place I could relax with my family and friends and chat over cocktails or coffee. On some evenings there were bands playing with music at a tasteful level that still allowed engagement amongst your party. 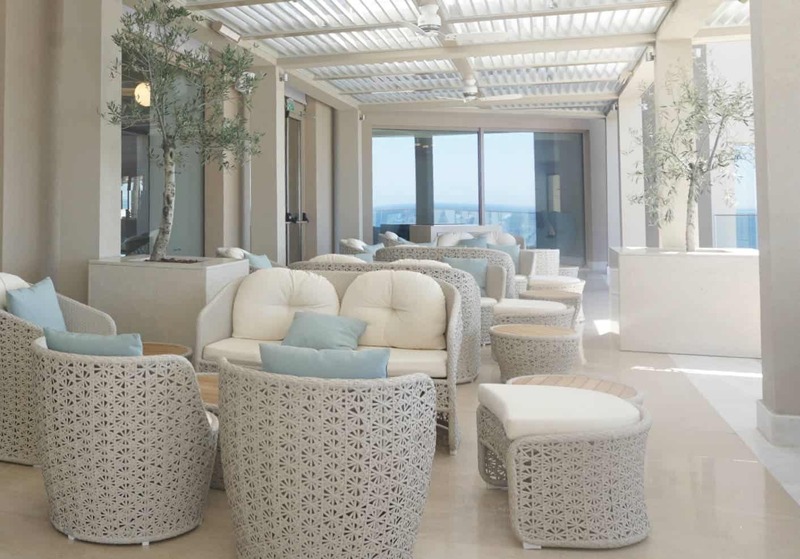 Ikos Oceania also presents good quality entertainment in the Helios Bar, and a nightclub should you wish to party the night away. 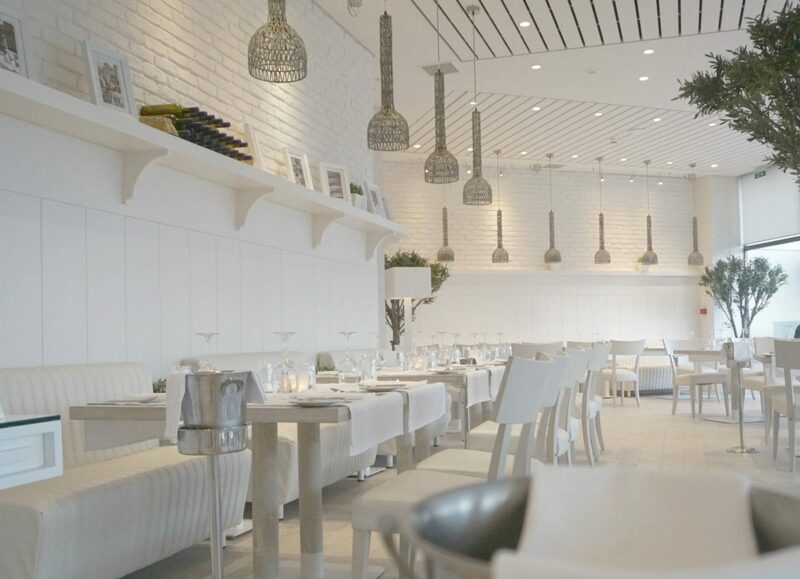 The restaurants at Ikos Oceania are divine. I feel this is where many all inclusive resorts let themselves down. 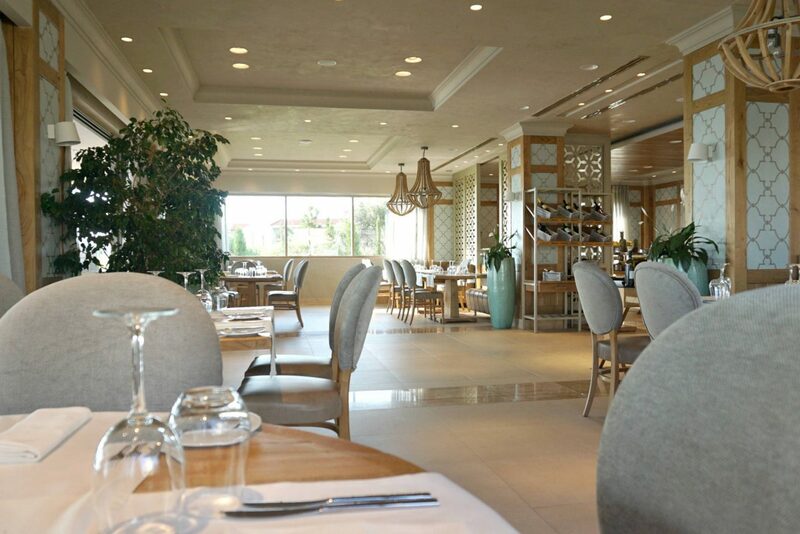 Yet Ikos Resorts get it so very right with an offering of 4 a la carte restaurants, an Italian, Asian, Greek and French, a buffet restaurant. And the option to dine out in an authentic Greek restaurant. We tried all of the options apart from the French. All menus include a kids menu to keep the little ones happy. 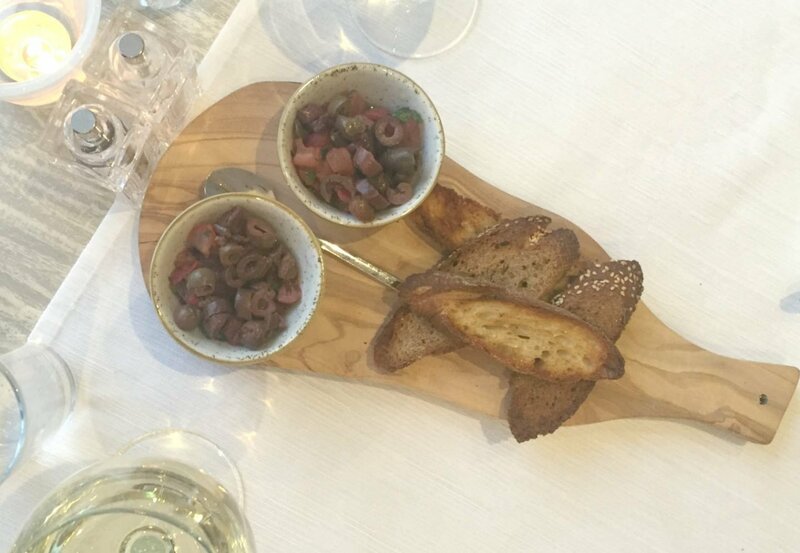 We preferred the in-house restaurants, which were wonderful with excellent service, incredible food and perfect surroundings. Yet, the dine-out option offered great service with great opportunity to experience an authentic Greek restaurant, Ouzo and the lamb meatballs were the best I have ever tasted. For lunch there are so many wonderful options. 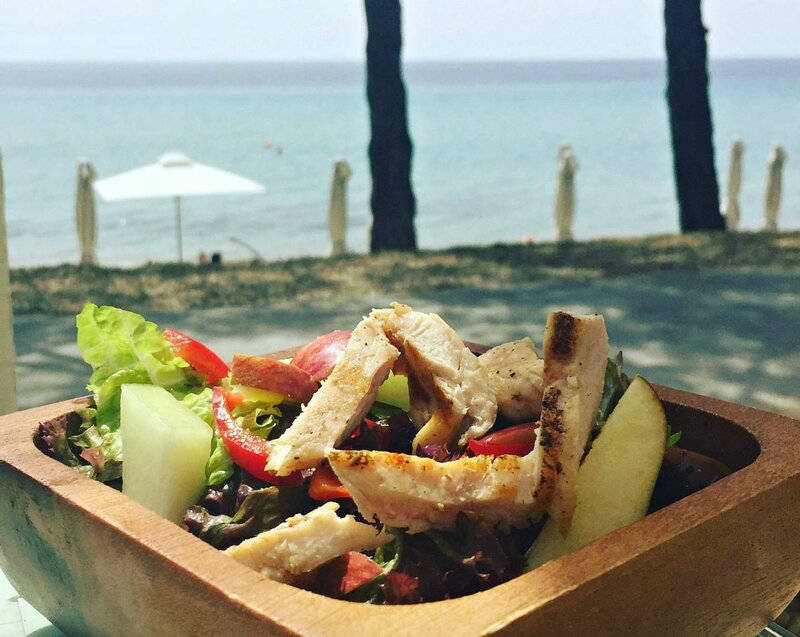 It was refreshing that Ikos resorts embrace a healthy attitude and this is reflected in all the menus. Offering healthy salads, wraps, and pasta. And all of the restaurants offer a slightly different lunch menu to the next. My favourite had to be the beach bar; it was just idyllic eating lunch washed down with a cold glass of wine listening to the sound of the waves in the background. 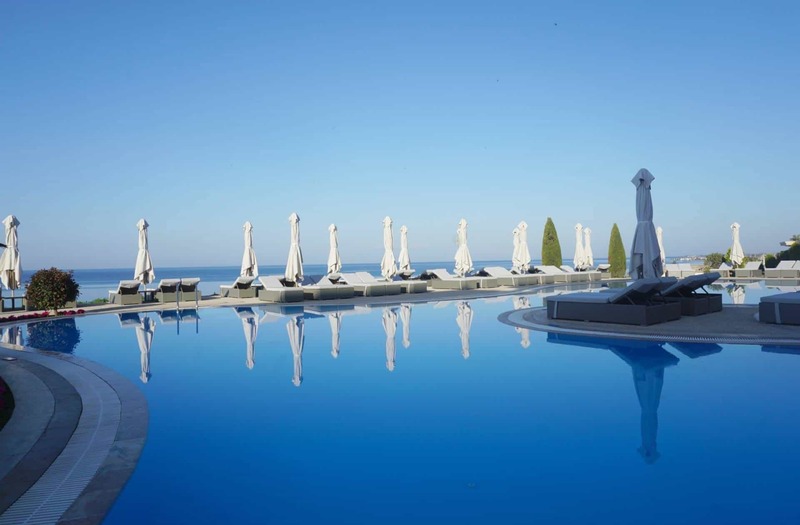 Omg, they are stunning, in total Ikos Oceania has 8 pools, 2 of which are baby pools, 1 family pool, 2 adult only, 1 spa, 1 deluxe collection and the main family pool. All are equally beautiful, 3 of which are infinity pools and the design is such that although the resort is busy, the pools are so well designed and spaced out they never ever felt busy. The sunbed to guest ratio must be quite high as there was always space around the pool. And the pools always felt chilled. The private beach at Ikos Oceania is perfect for long walks, and the work that goes into keeping it pristine and neat is incredible. I know this as I witnessed the staff raking and smoothing the sand on my morning walks. There is a shingle bank in the sea and a sign saying beware sea urchins. But wearing sandals remedies any risk and we walked in the sea most days with no problems at all. We loved the beach area. It has been newly renovated and the standard is so high. 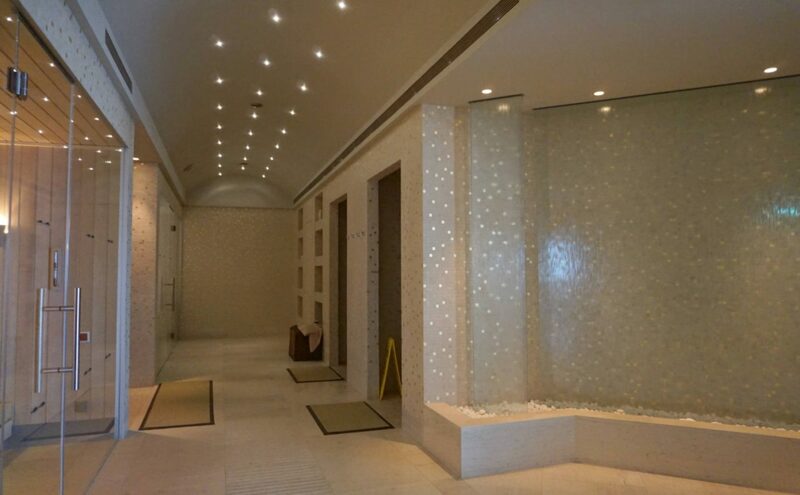 The spa is extremely beautiful and luxurious with an indoor pool with huge day beds, a gym, a full programme of classes, including yoga I was so cross I did not take my gym gear. 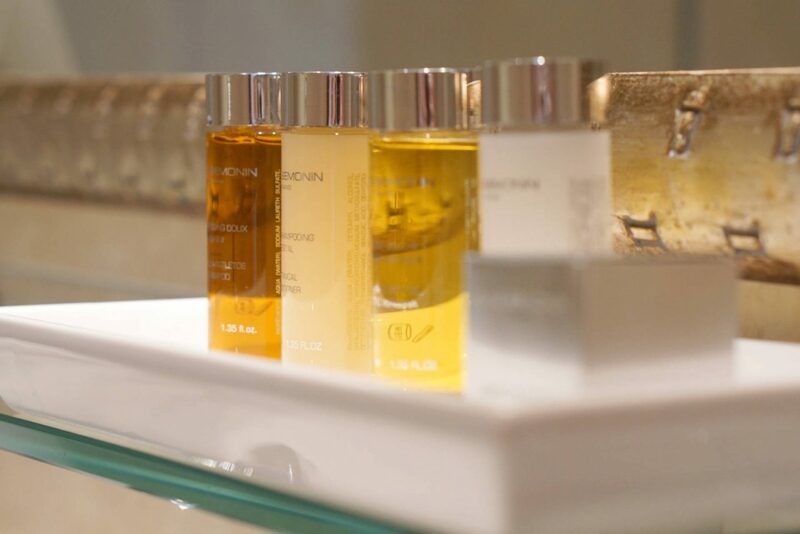 There is also a hair salon and treatments rooms offering a section of treatments and massages. My favourite part a spa and sauna area that was divine. 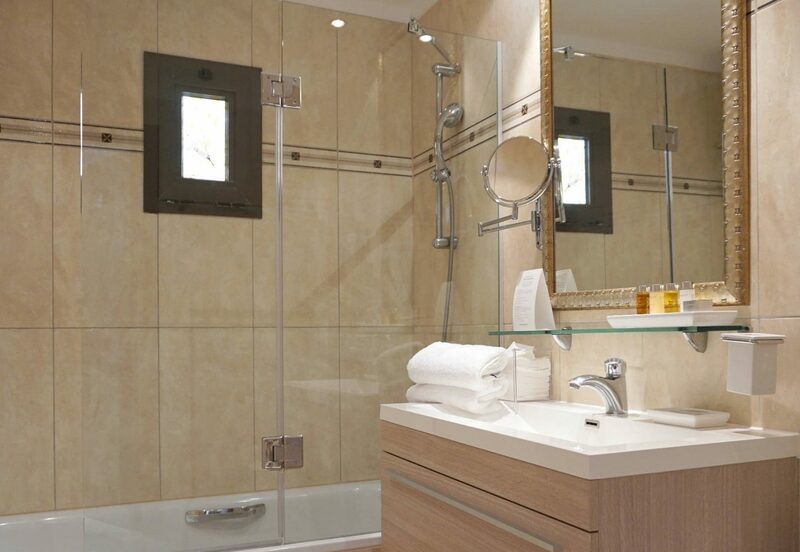 With heated beds, a sauna and steam room and sensory shower. What I could not get over it that use of the gym, classes, spa pools and steams rooms is all free for hotels guests to use. Of course treatments are extra, but you would expect that. 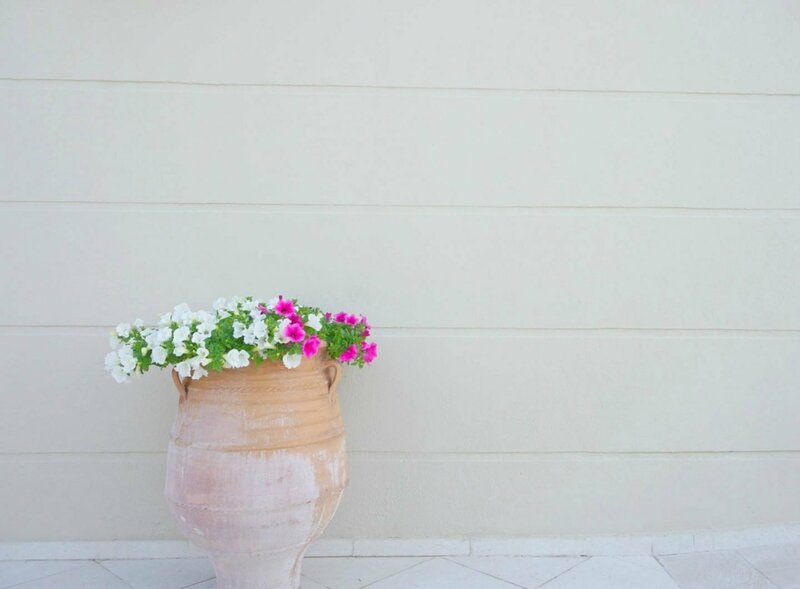 Ikos resort is built into a hillside, this means the grounds are staggered over 6 levels. It is so well designed that you don’t feel as it is hilly. And for those that don’t feel like walking or are unable to walk anywhere you can call a golf buggy to transport you around. The work that goes into to maintaining this stunning resort is incredible. 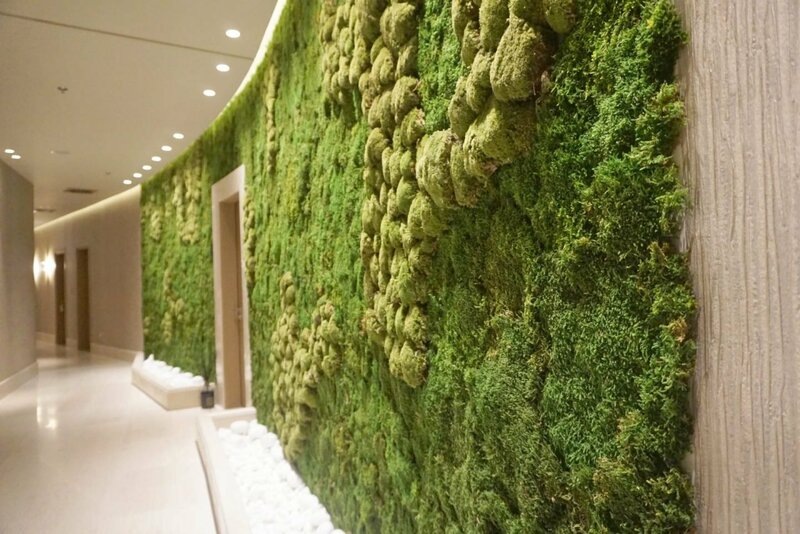 Every open space is manicured and perfect with the most beautiful greenery and flowers. The one huge thing that Ikos has to be so loudly applauded on it its wonderful team. I never once encountered an un-smiling member of staff. Every single person we encountered during our stay went over and above to make you feel welcome and special, remember your name, your favourite cocktail and wish you good day. The staff are such a huge part of what makes Ikos so wonderful and part of the reason we want so very much to revisit. So if you plan to visit an all inclusive resort in Greece, Ikos Olivia gets 10/10 from the Christies. 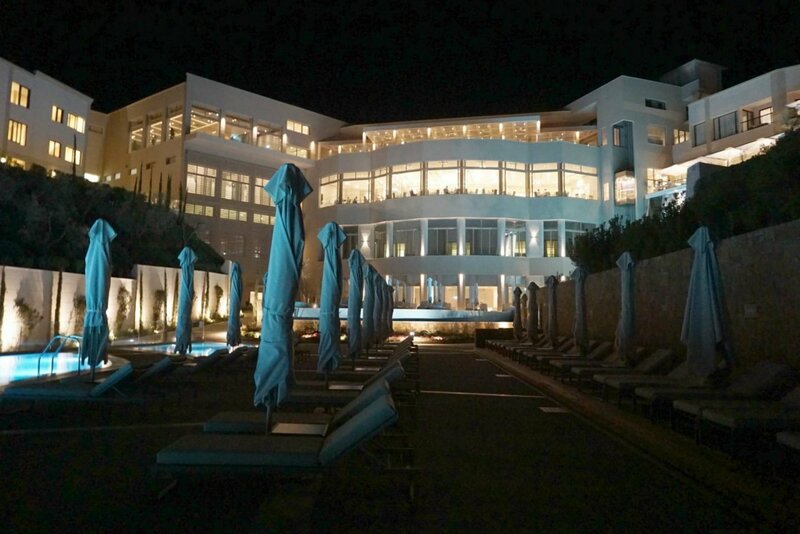 I haven’t even started on what the boys loved about Ikos resorts, but that’s another post for another day. wow, wow, wow that looks amazing. I would love to go. Stop it you are killing us with all the stunning photos, I really need to sort out Greece for the summer. Stunning. It was the sunset yesterday too that makes me smile so much. I’ve been following your break – it has looked out of this world. All that food to choose from. And eight pools! Sounds like heaven. Absolutely gorgeous – the colours are so contemporary. Amazing photos! This is looks like such a beautiful place to just relax! Oh wow! I can feel the luxury, just by looking at the photos. Thank you for sharing this great location with us. The resort is stunning. What great pictures. I am very J of you!